George Artus Johnson, Jr., “Tew Much”, a native of Mt. Vernon, Alabama, and a resident of Mobile, Alabama, was born to the union of George Johnson, Sr., and Laura Bassett Johnson on April 1, 1926. He departed this life on June 10, 2018, at his home, surrounded by his family. He was preceded in death by his parents, George Sr., and Laura Johnson, and sister, Florenia Sullivan. 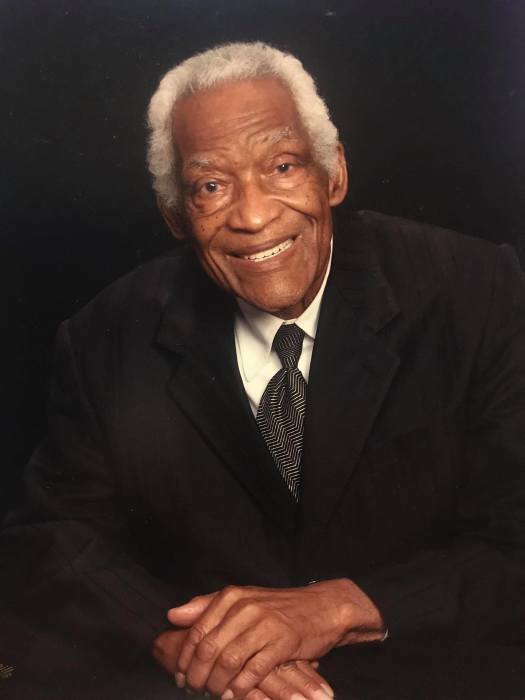 He leaves to cherish his memories: one brother, Randolph (Mae) Johnson of Los Angeles, California; a loving and devoted niece and caregiver, Patricia Jackson of Mobile, Alabama; and a host of nieces, nephews, other relatives and friends. Mr. Johnson will lie in state on Friday, June 15, 2018 from 1PM - 6PM at Heritage Funeral Home | 953 S. Broad Street. Mobile, AL 36603. Celebration of Life Services will be Saturday, June 16, 2018 with a viewing from 11AM-12:50PM, followed by a 1PM Service at Isaiah 61 Ministries | 4905 St. Stephens Road, Mobile, AL 36613.